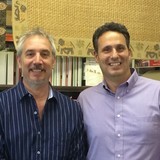 When you think of carpet, G. Fried Carpet has been the destination for over 39 years in Bergen County, NJ. While other stores come and go, we remain, dedicated and committed to serving our customers. Our showroom has all the hottest styles and colors and is easy to shop. We have specials every day from the most popular carpet manufacturers. 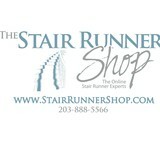 If it's carpet, stair and hall runners, fabulous area rugs, or carpet, upholstery, and tile cleaning - we do it all! 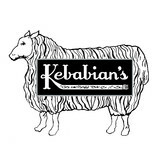 We've grown from a typical local carpet store to a design resource that frankly, we are very proud of. 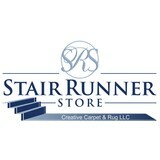 Your clients will be amazed once you show them our proprietary line of custom-made hall & stair runners and area rugs. They are one of a kind, and custom designed to your specifications using our exclusive manufacturing process. It took years of R & D to develop this process, and it continues to evolve. Gaye and Roseann are our in-house decorators - They will be delighted to help you select the right color for your floor and even choose your paint colors. Over 85% of our customers have been referred by previous satisfied customers. If you want your installation absolutely perfect, all at the best price, then you need to visit us on Route 17 South Paramus, NJ. Come see the BEST of the BEST, here ONLY at G. Fried Carpet. You will be so happy that you did! 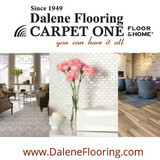 Visit our Bergen County Premier Carpet & Design Showroom today! Floor Town is a specialty flooring store whose sole purpose is to enhance the beauty and value of your home. Understanding your needs while providing outstanding craftsmanship and individualized service is how we exceed your expectations. We want YOU to be completely comfortable when referring family members, neighbors and colleagues our way. Feel free to stop by when you're in the neighborhood as we offer the largest selection of flooring in Bergen County (with over 10,000 product choices), lifetime installation warranties, a dedicated project management team and much more. But don't just take our word for it - check out our authentic online customer reviews on Google +, Angie's List, Yelp, Houzz and on our website! We have over 200 of them. We look forward to meeting you, and to helping your dreams come true! Carpeting is subject to a significant amount of wear and tear, so it’s crucial to make sure a new carpet installation is done correctly, or that an existing rug is maintained properly. Enter Middlebury carpet dealers. From carpet repair to custom carpet design, these professionals specialize in anything and everything that is carpeting, and can help ensure that your Middlebury, CT home’s new rug starts off — and stays! — in great shape. Carpet dealers in Middlebury, CT help homeowners choose the correct carpet covering for their floors, and also assist with carpet maintenance. This includes determining factors like material, carpet pile, durability, color and size, as well as helping with any custom carpet design. After completing the initial installation (which includes removal of the old flooring, if applicable, and surface prep), they may also handle follow-up maintenance requests such as carpet cleaning, carpet repair and carpet stretching. Find a carpet dealer on Houzz. Narrow your search in the Professionals section of the website to carpet dealers in Middlebury, CT, and read reviews and ratings for pros in your area.